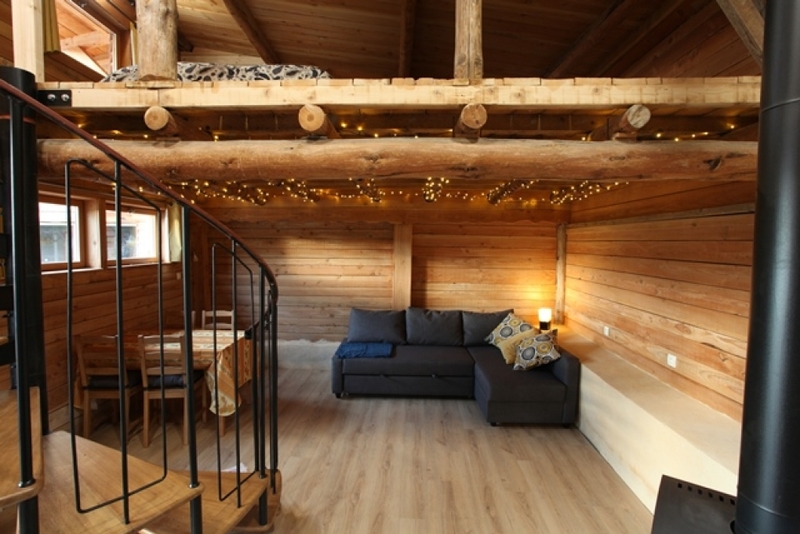 Originally a shepherd's hut in the hills, the area now known as Alauzon consists of a collection of buildings ranging from converted farm buildings to contemporary-styled properties. 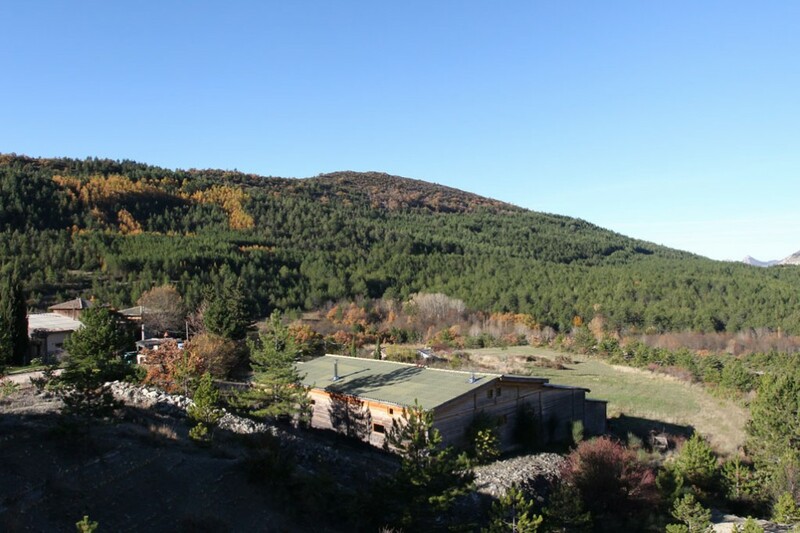 The setting is a magnificent hill-top area surrounded by meadows, streams, and protected forests. 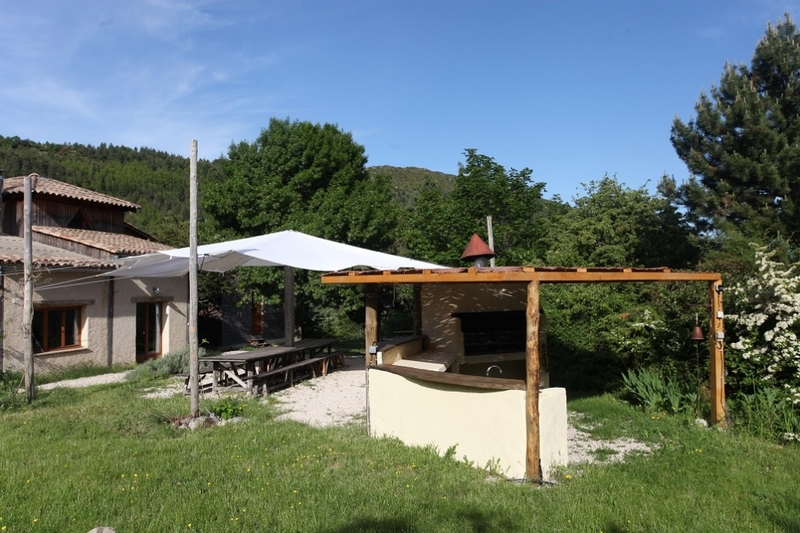 Though only fifteen minutes' drive from Buis-les-Baronnies, Alauzon feels as though it is a world unto itself and it's unusual to hear anything more than the wind or the birds. Situated at 800m altitude, we get plenty of sun, but without the blistering heat making Alauzon a great place to stay all year-around. Alauzon is a fantastic place to be and, when you visit, you will quickly appreciate why. We can provide the right accommodation for your group whether you're looking for one night or more, from one apartment to multiple rentals. Just let us know what you need. 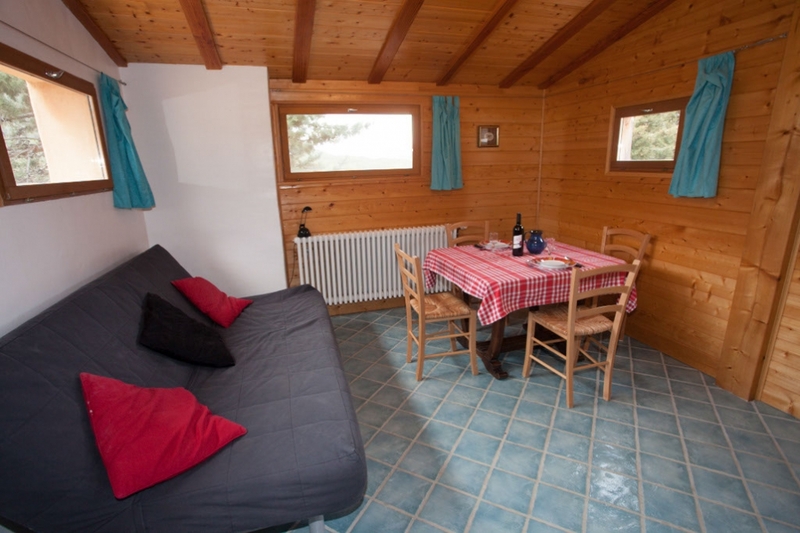 Alauzon consists of five rental properties available to rent throughout the year. Ideal for family reunions, group holidays, weddings/anniversaries, birthdays, conferences and seminars- whatever the reason, if you need group accommodation, Alauzon will make the event unforgettable. Beautiful natural swimming pool (May-Sept). 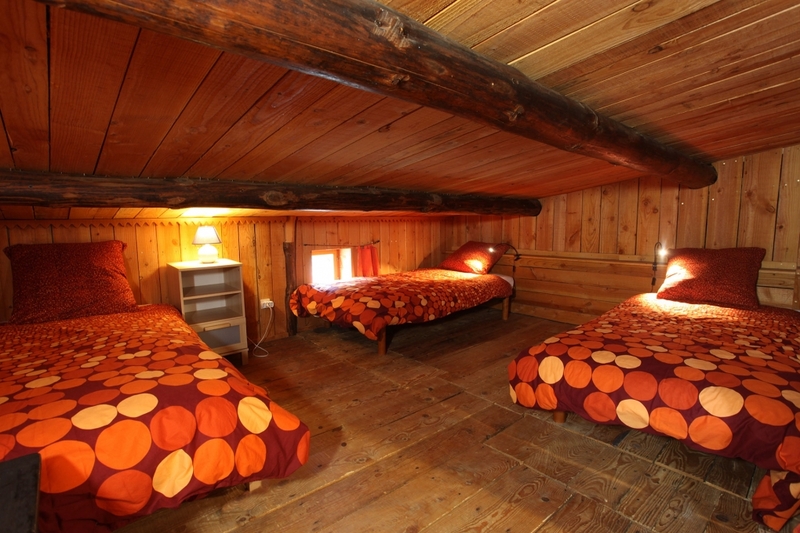 *The Cabin is 300m from the main property. 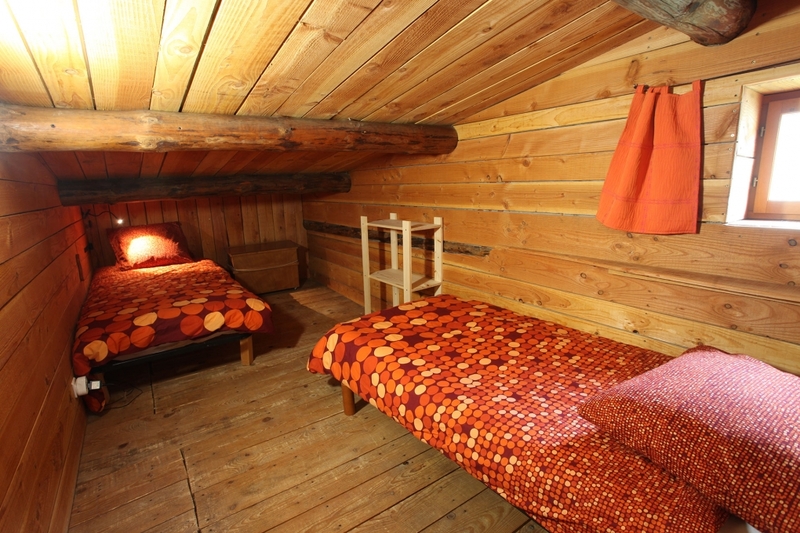 The Cabin in the Woods is usually not available from November to April. Peak season: July/August. Daily rates are not usually available during this period. It's easy to book your stay! 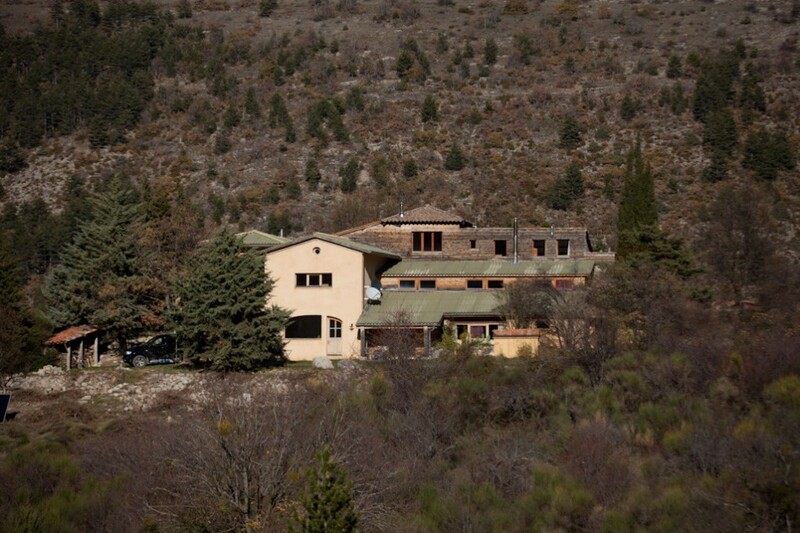 Email us with the dates you would like, the property(ies) you want to book and the number of people in your group. We'll send you a quote within 24hrs with payment information. Your reservation is confirmed when we have received the deposit (usually 25%). The balance will be due when you arrive. We accept ANCV Chèques Vacances and most credit cards. 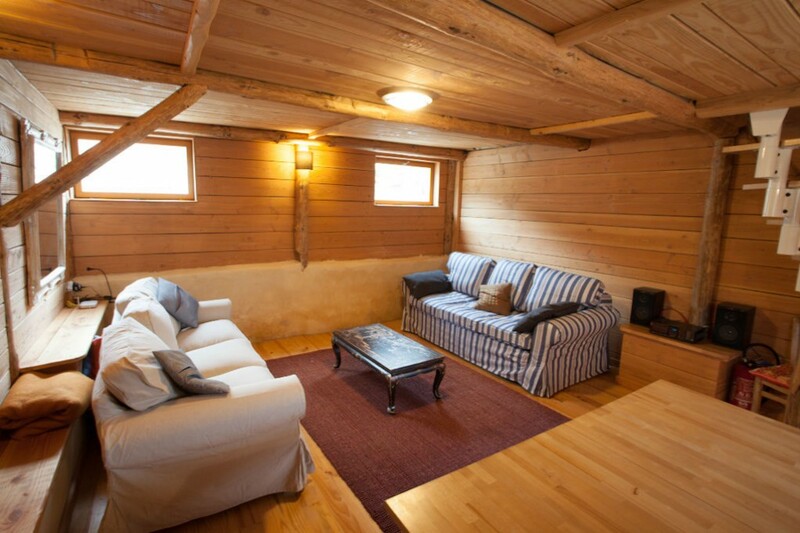 You can also find us on AirBnB and Abritel HomeAway. 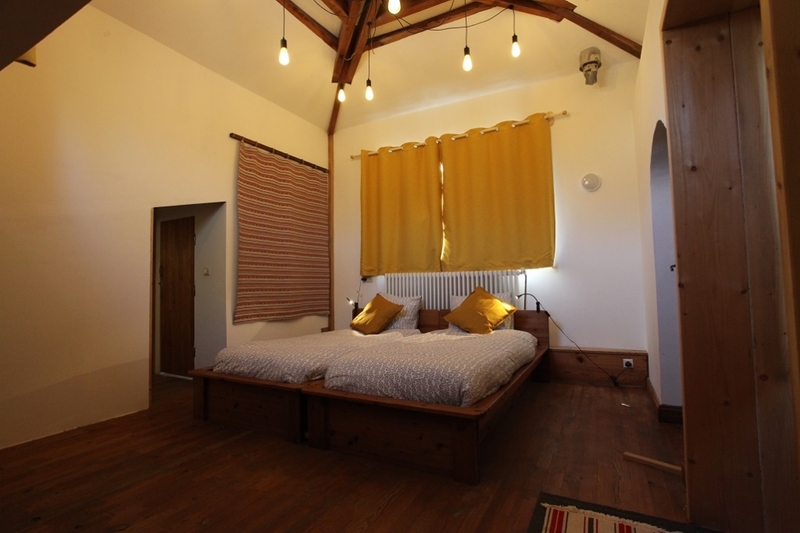 A double bed in the studio mezzanine. Peak season: July/August. Daily rates are usually not available during this period. Email us with the dates you would like, the property(ies) you want to book and the number of people in your group. We'll send you a quote within 24hrs with payment information. Your reservation is confirmed when we have received the deposit (usually 25%). The balance will be due when you arrive. We accept ANCV Chèques Vacances. 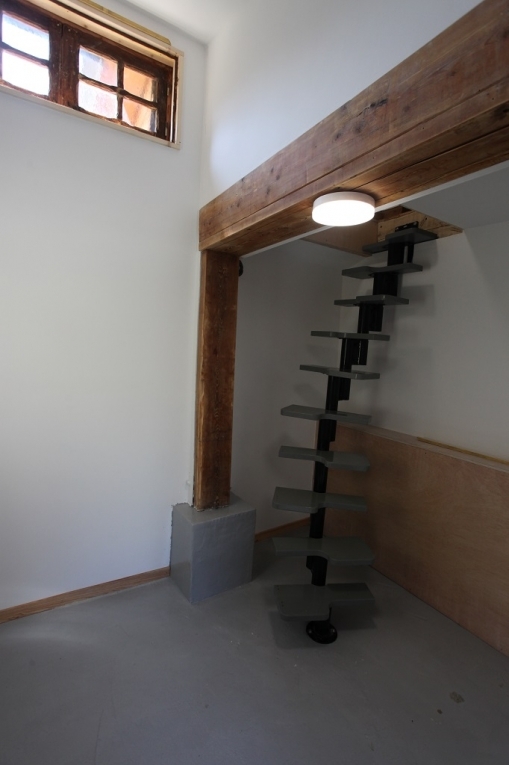 Le Grenier (loft) is, as you would expect, at the top of the main building. 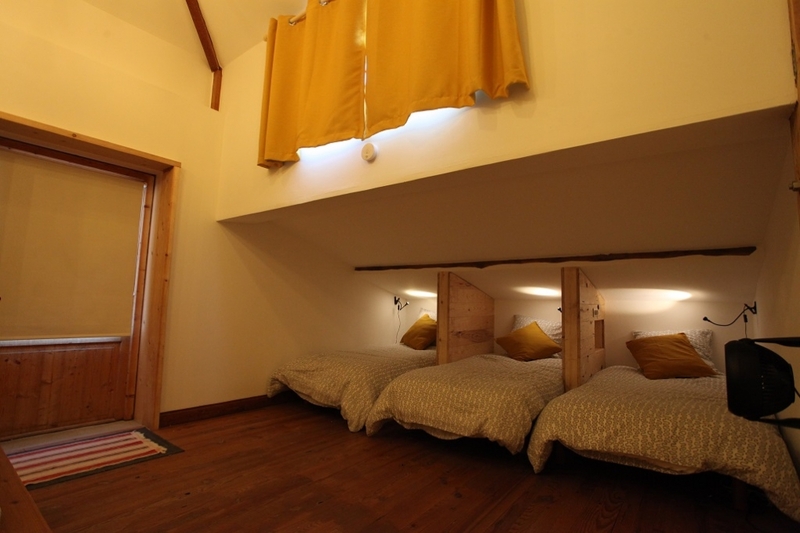 The cozy bed nooks of the west room each have a reading light, power socket and small storage shelf. The main entrance to the Grenier is on the west side. There is also an alternate, internal entrance on the east side. The west room of the Grenier has 5 beds. 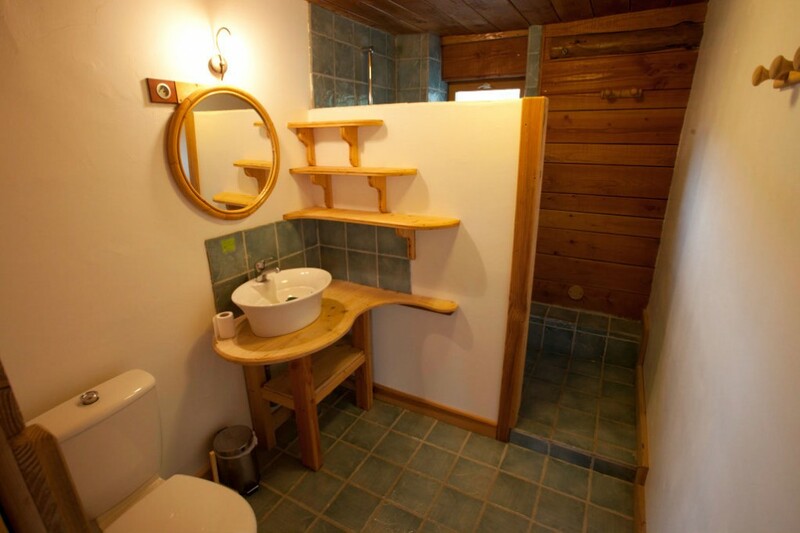 There is a separate shower room, toilet and sink on the right. 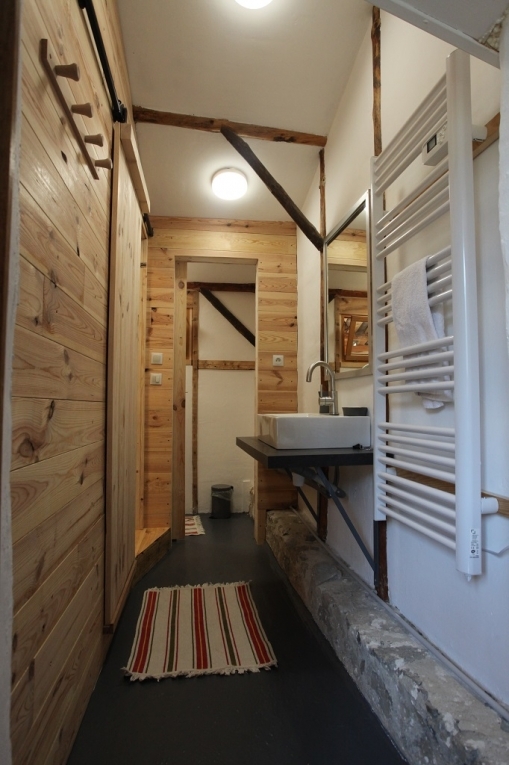 The west bathroom has a large shower room on the left, toilet room at the back and heated towel rail. 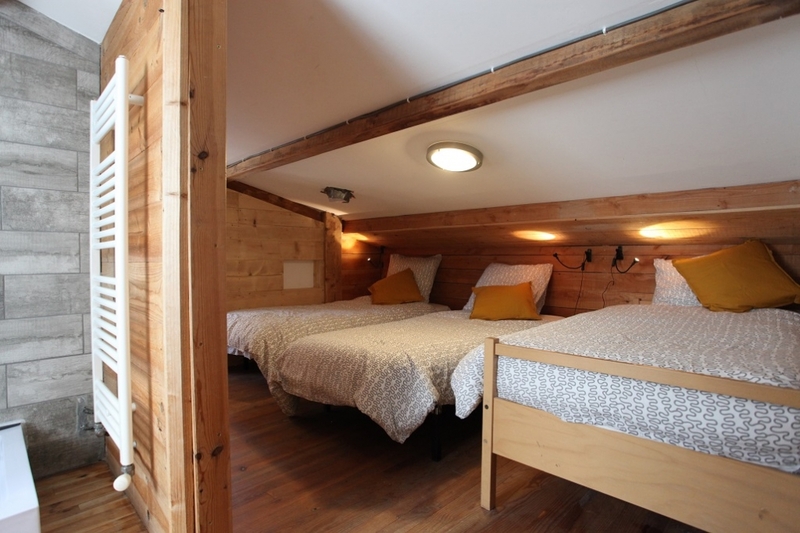 The central room of The Grenier has three single beds. Direct access to a toilet room and shower room. The east bedroom has three beds and an independent entrance. East bedroom of the Grenier. 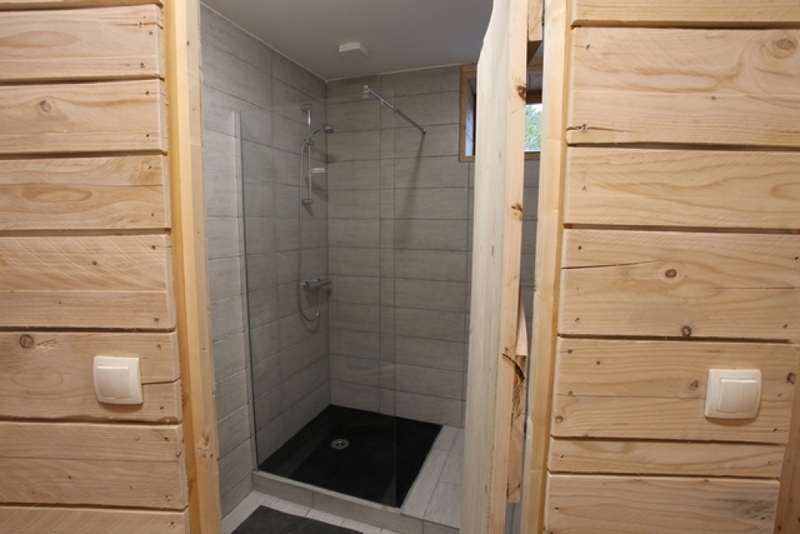 A large shower room for the Grenier East and Central bedrooms. 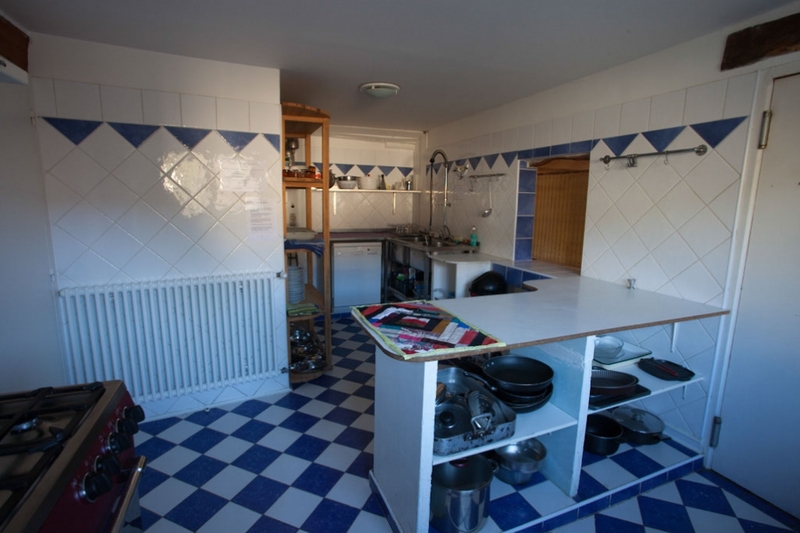 A large kitchen with dishwasher, XL cooker, 2 refrigerators, double sink, XL coffee maker. A 50m2 space for eating indoors together. A large, shaded space and extra large BBQ for dining outside. *Peak season is July/August. Daily rates are not available during this period. 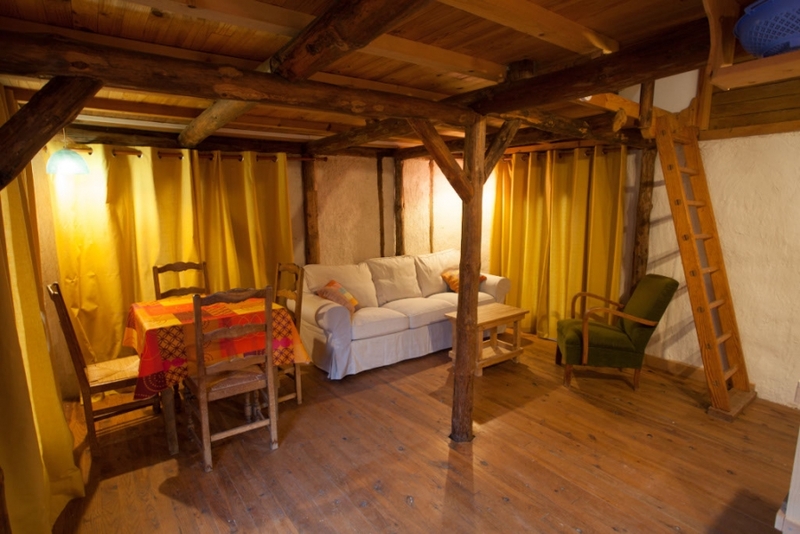 The Bergerie is an independent, three bedroom guest house. 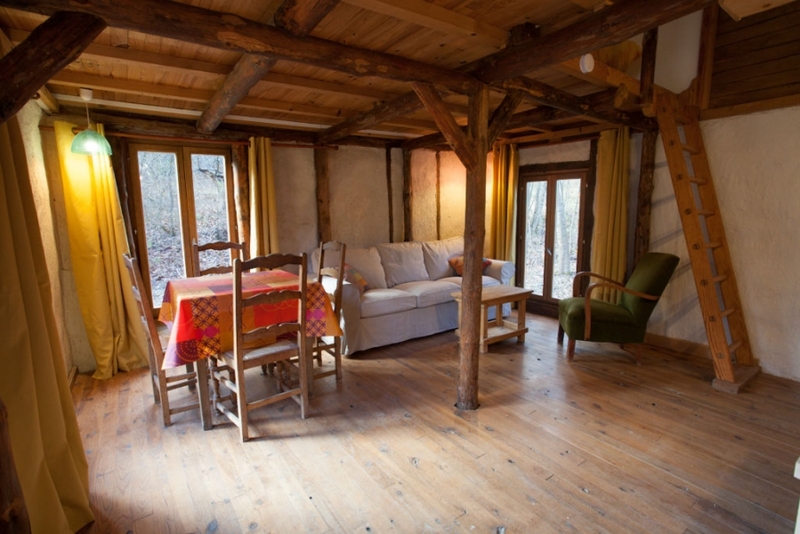 The Poterie is adjacent to the Bergerie and was renovated in 2018. Most clients book the two properties together. 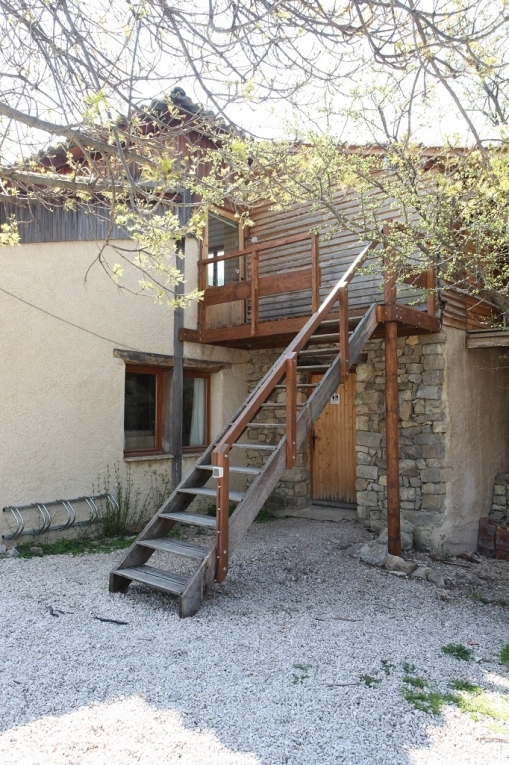 The Poterie is located right next to the Bergerie and is accessed by the exterior. 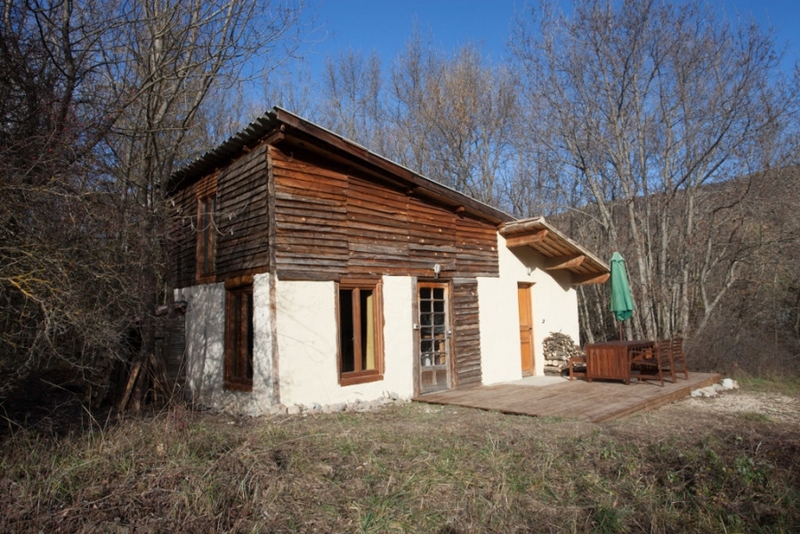 The Bergerie is located a short distance from the main house and overlooks a meadow and the Alauzon valley to the west. 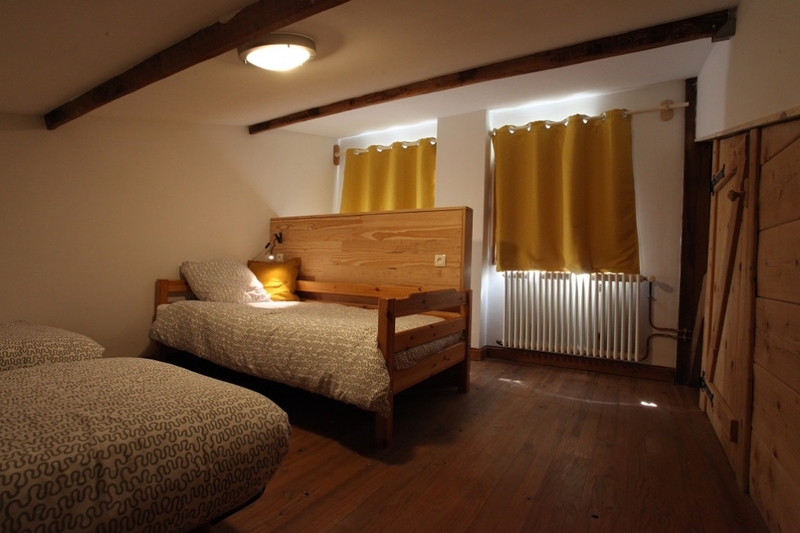 The Bergerie has come a long way from its origins as a stable - it's now a comfy modern apartment with room to sleep nine. 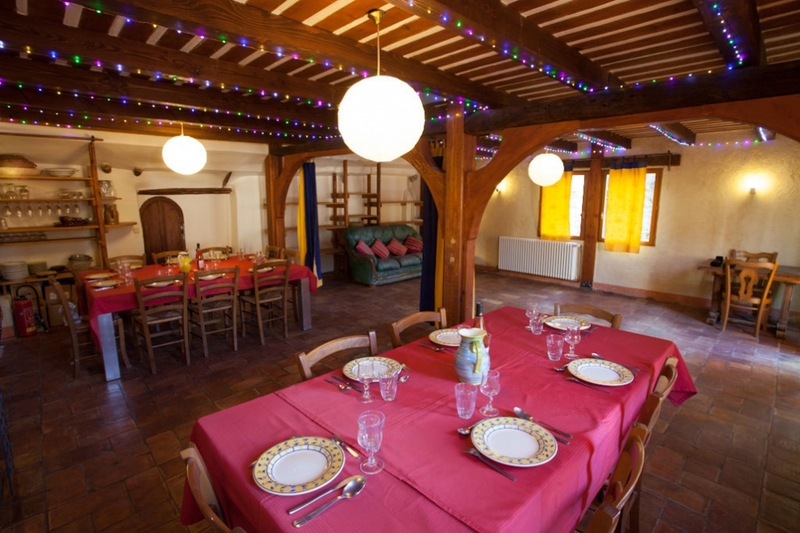 The Bergerie is a pleasantly open space - great for groups and families. The bathroom is just next to the kitchen, and has a great shower. 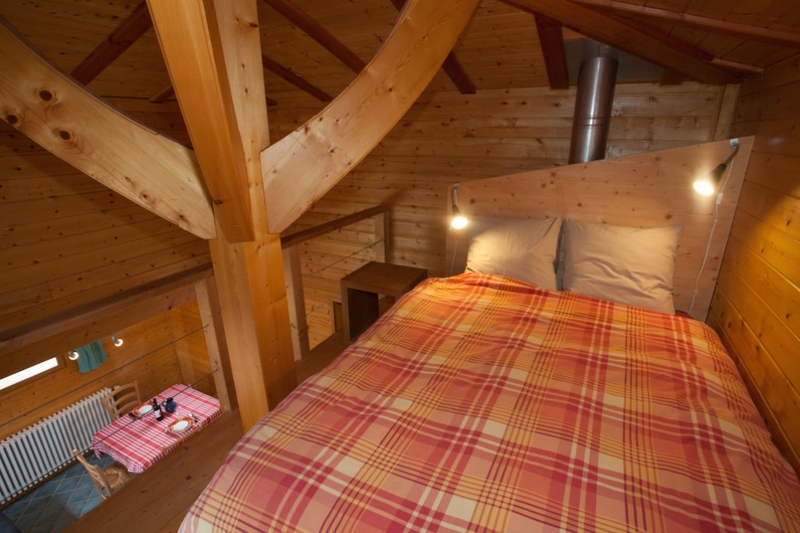 The Bergerie has two large sofas - one is a bed-sofa and sleeps two in comfort. 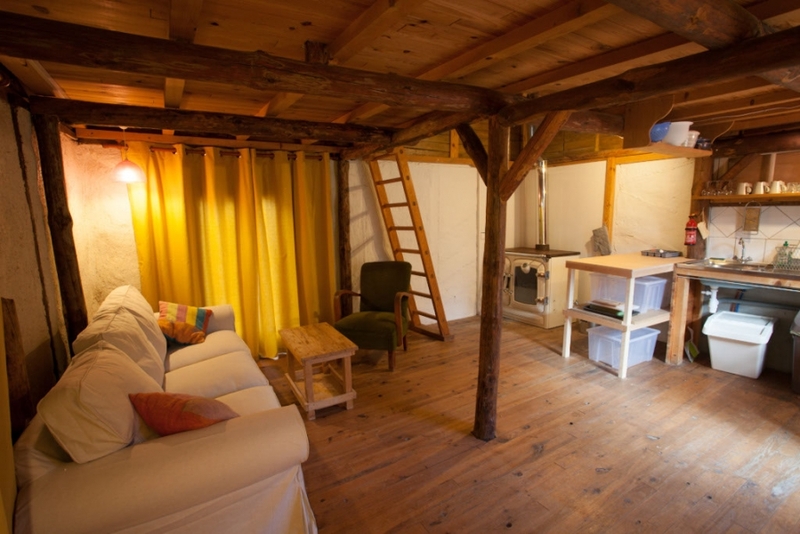 A stereo is provided, and there is a modern wood-burning stove to keep things toasty in winter. 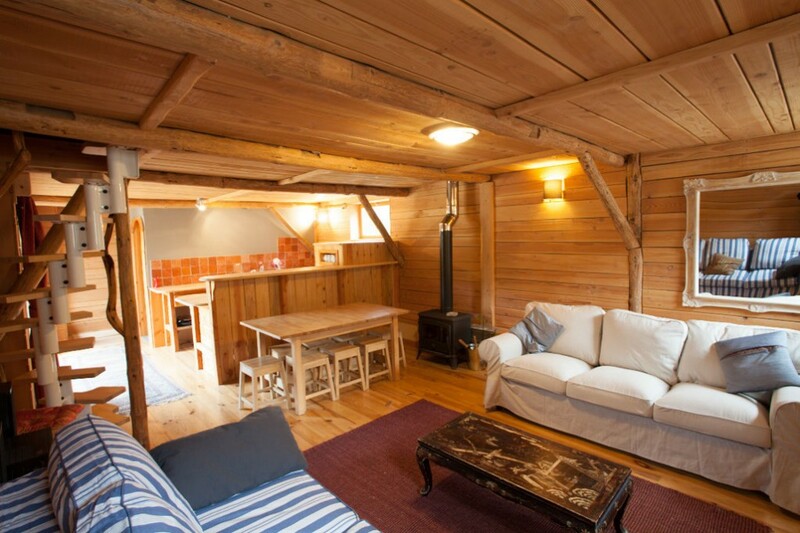 A spacious living area with a double sofa bed and wood stove. King sized bed in the mezzanine. There is also a single bed (not pictured). 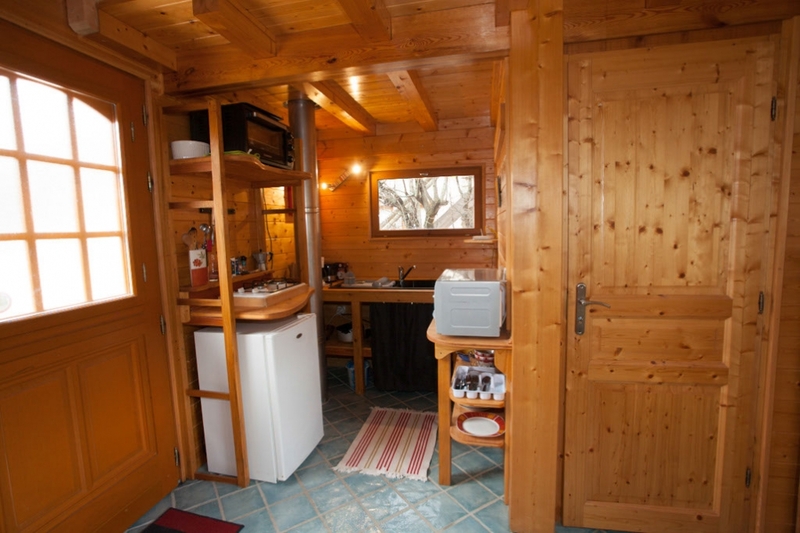 A fully equipped kitchen (microwave, 4 burner gas stove, electric oven, full size fridge/freezer). 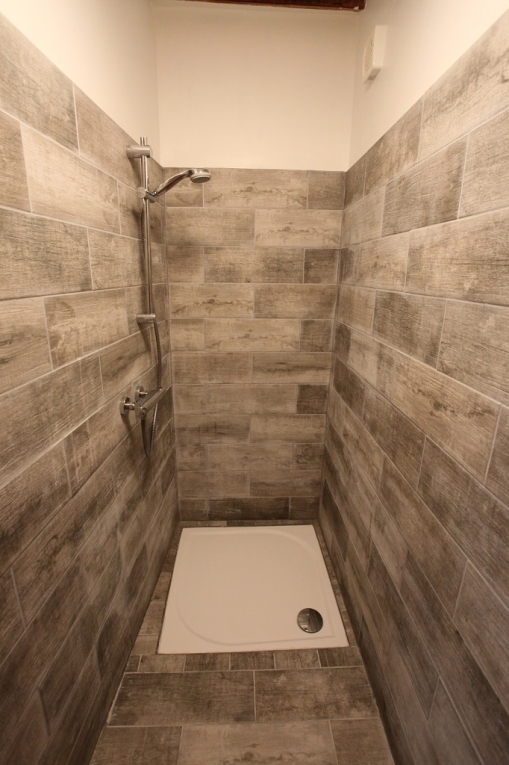 A large shower room. Separate toilet and sink area. Peak season: July and August. Daily rates are usually not available at this time. 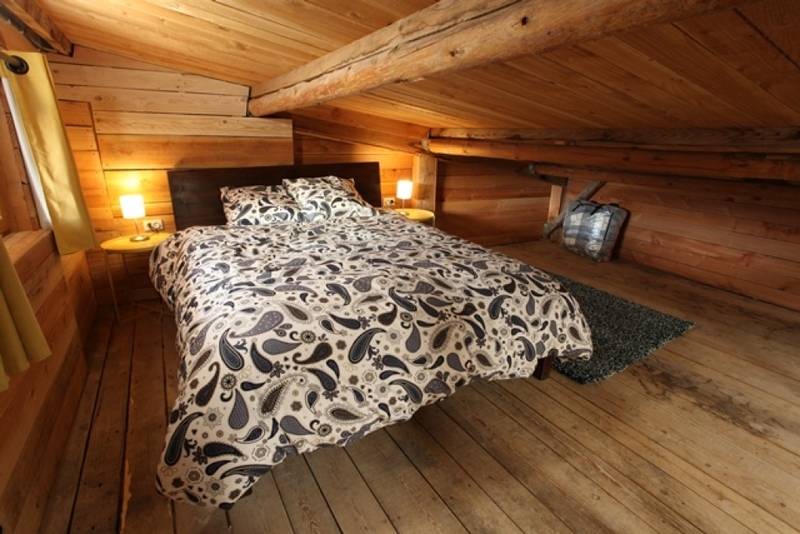 The cabin is situated in a clearing on the edge of the woods about 300 metres from the main buildings at Alauzon. 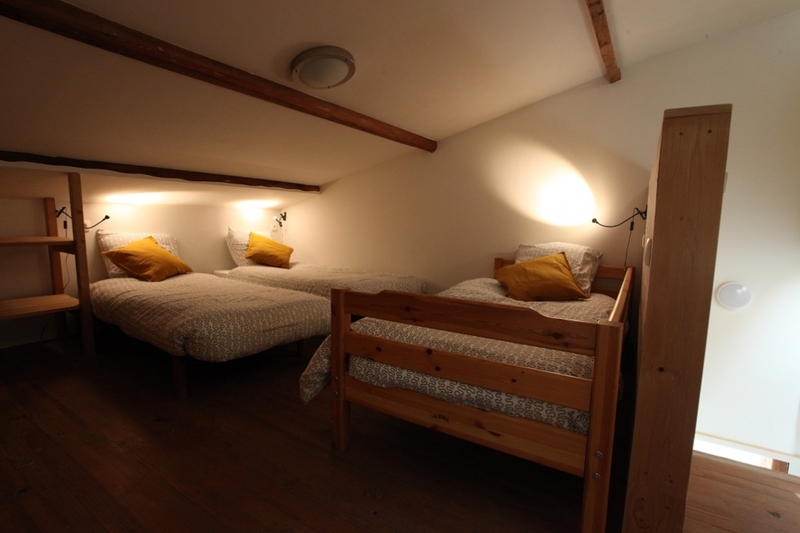 There is no WIFI or mobile phone reception at the cabin - but these can be accessed via the main building… if desired. Ideal for those wanting unbroken tranquillity, yet only a short stroll from all our facilities. 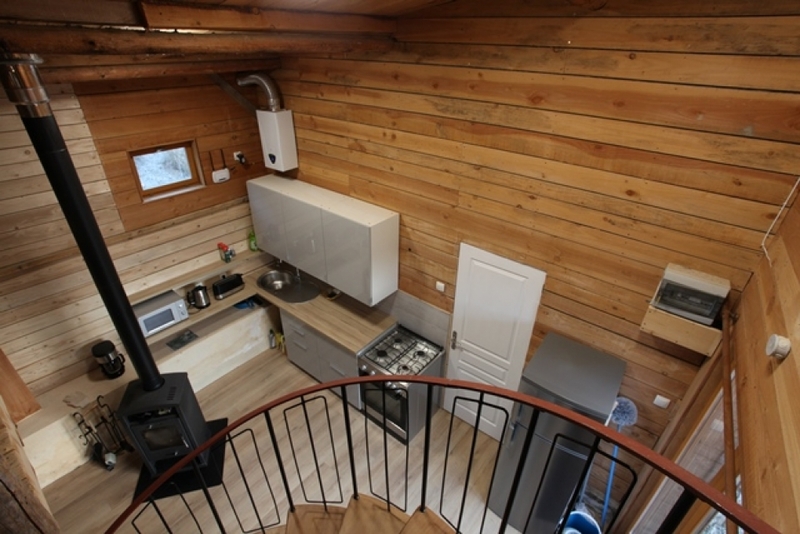 Renovated in 2016, the cabin comprises of a living area with a dining table, sofa, kitchen, and 4 beds on the mezzanine level. 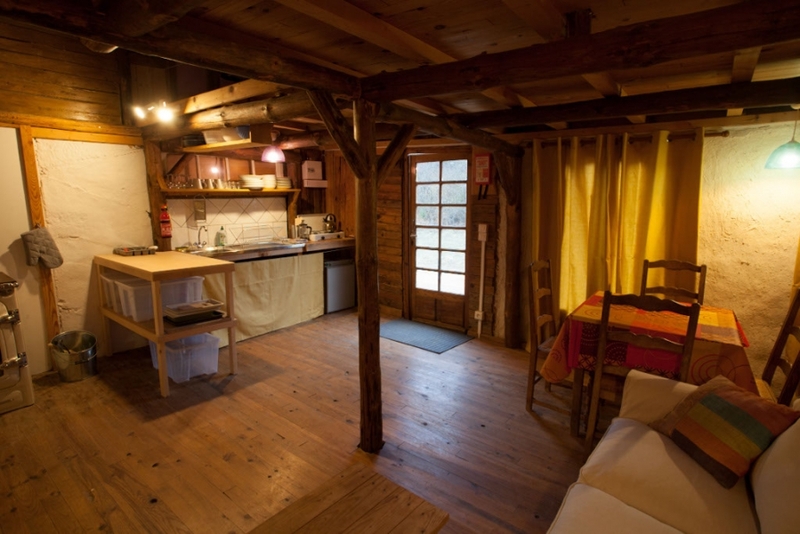 The kitchen has a double gas burner and a vintage wood-burning stove that both heats the building and cooks meals. There are two compact fridge-freezers. 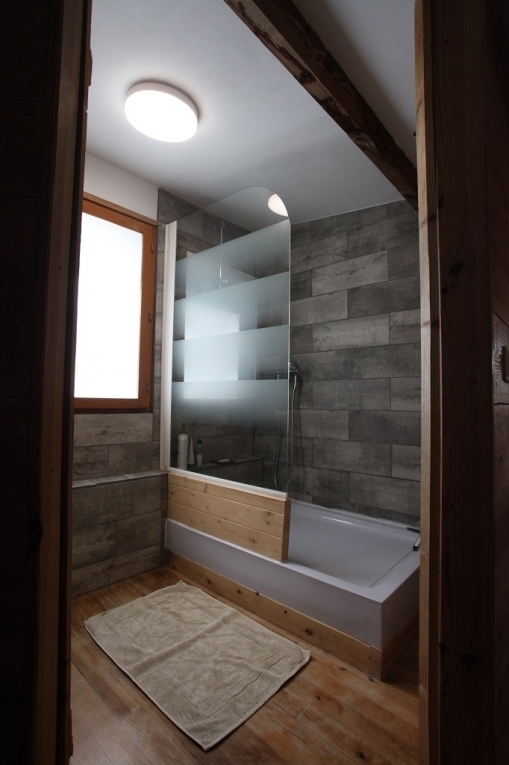 The bathroom is in an adjacent building, with a shower room and WC. In front of the cabin is an east-facing timber terrace with table, chairs and parasol. 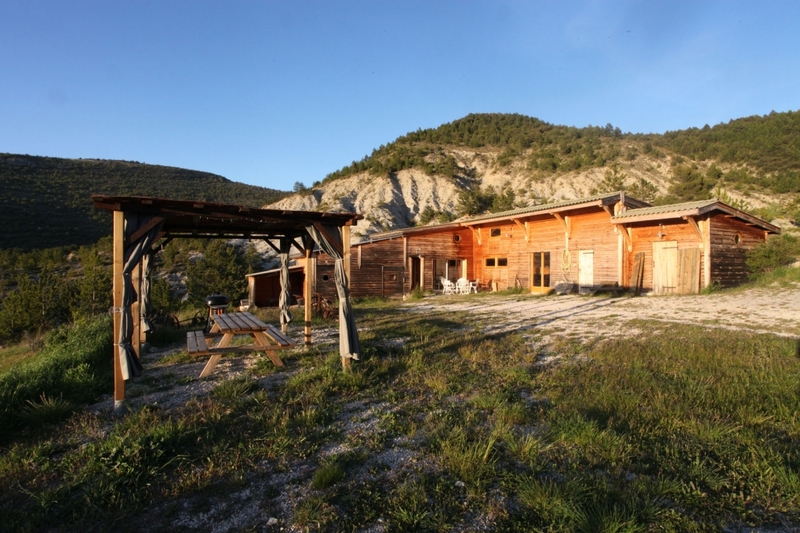 Access to the cabin is possible either via the main property, or for those with 4x4 vehicles, via a breathtaking drive up the gorge. 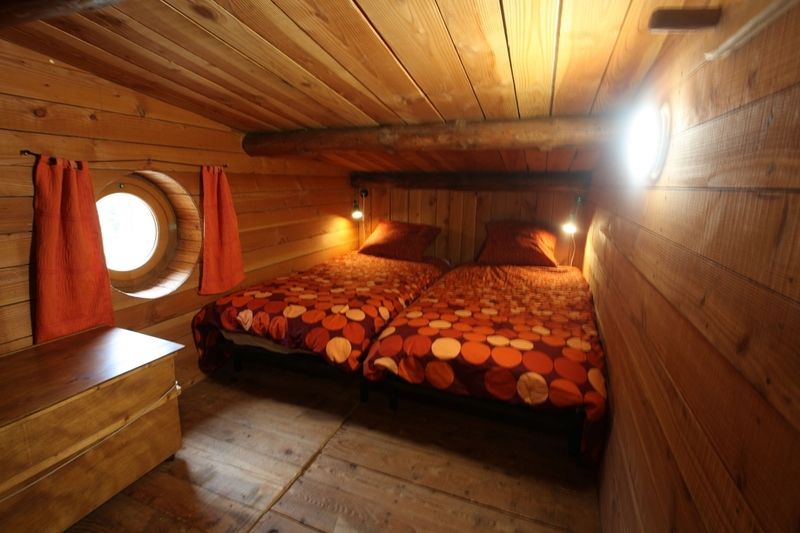 The Cabin is open from April to November. The living area has three floor to ceiling windows looking out into the woods. The east facing wooden deck with table, chairs and parasol. The adjacent building houses the WC and the shower room. 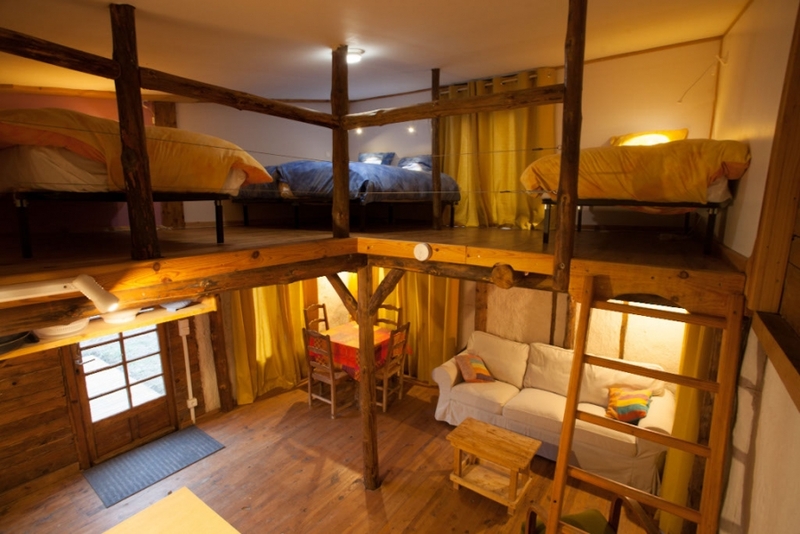 The mezzanine area, accessed by a fixed ladder has four beds. Bedding is included in all rentals. 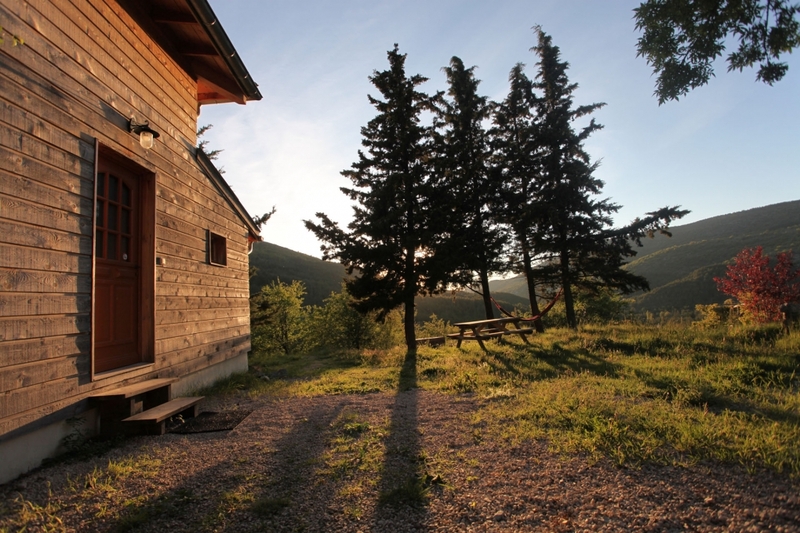 Simplicity, nature and tranquility: the three main characteristics of this unique property. 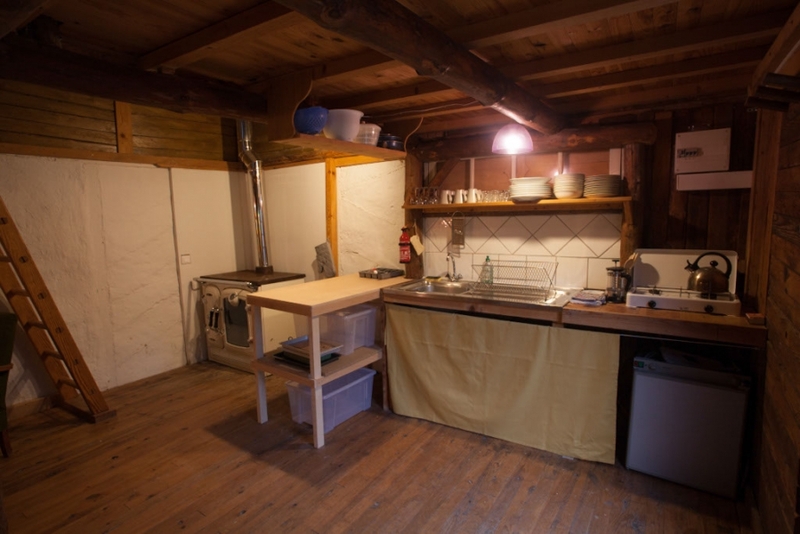 The kitchen has a two burner gas stove, small fridge/freezer and wood fired cooker (not pictured). Plastic tubs are provided for food storage. 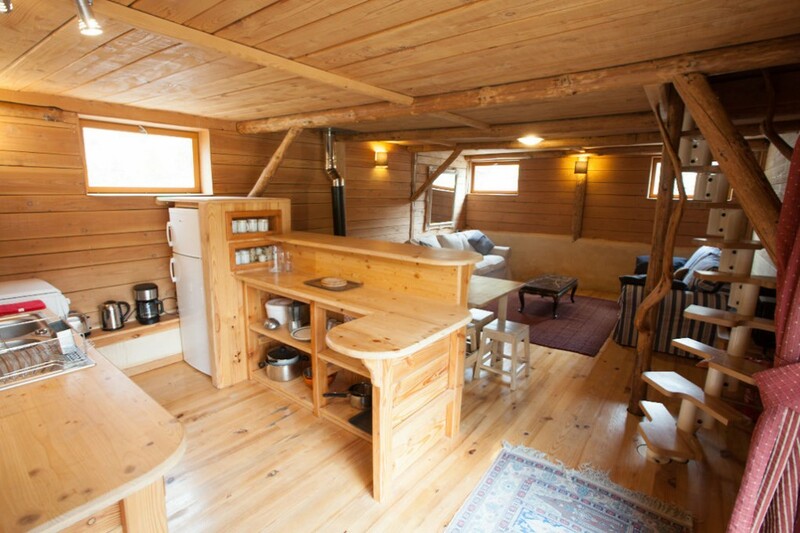 The vintage wood-burning stove in the corner provides heating and cooking facilities. Peak season is July and August. Daily rates are usually not available at this time.